No forklift manufacturer in the world enjoys more respect than Crown. When Crown entered the field in 1956, the company quickly established itself as an innovator in forklift technology, introducing forklift models that filled gaps in materials handling needs. An all-American company, Crown manufacturers 85% of all parts included in their forklifts, ensuring both price and quality control. This is one of the reasons why used Crown forklifts are in such demand: they are built to last. Another reason why used Crown forklifts are in demand is because they offer one of the largest range’s of forklifts on the market, including some that are unique to Crown, such as VNA turret trucks with the highest lifting capacity on the market. Whether you’re looking for an electric hand pallet truck or a used Class V pneumatic/cushion internal combustion workhorse powered by a John Deere engine, you can find a Crown to suit your materials handling needs. We make it easy for you to find used Crown forklifts and other quality brands here on ReconditionedForklifts.com. If you know what class of forklift you’re looking for, you can narrow down your search by using our sidebar menu. As you can see, we have everything from Class I Electric Rider to Class V Pneumatic IC lift trucks and even miscellaneous equipment to choose from. If you want to narrow down your options even further, go to our Complete Used Inventory pages first and use the form at the top of the page. For used Crown forklifts, just make your selection by brand. If you’re looking for a newer model, choose a year from the drop down “From Year” menu. In all, there are 12 categories to choose from or you can even choose a previously owned forklift by price. Save your selections to your Watchlist for future reference. Download and save full vehicle information. Get promo and discount offers via email. Have instant approval of all your purchases. Add your used forklifts and other industrial equipment to our catalog (please read our conditions first). There is no cost or obligation involved: the benefits are all yours. ReconditionedForklifts.com is a proud member of the Bahrns Industrial Equipment and Supplies team. For over forty years, Bahrns has been one of the most trusted names in materials handling equipment and suppliers in central Illinois. 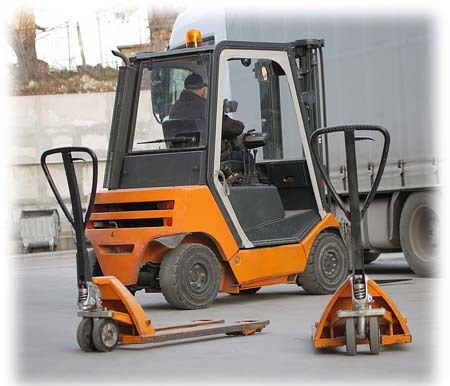 If you need a used Crown forklift, it is likely you need other industrial supplies as well. Check out our parent site, Bahrns.com and find one of the largest catalogs of materials handling equipment and supplies online. To learn more about Bahrns and our affiliation with them, read our About Us page and if you have any further questions, don’t hesitate to Contact Us in person.